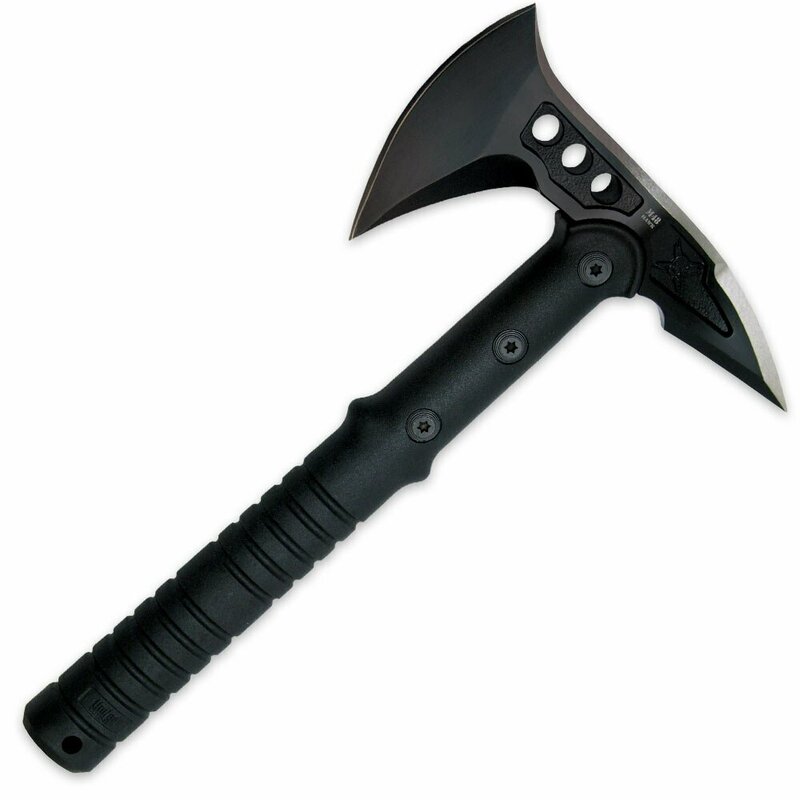 Now you can enjoy all the qualities of United Cutlery's best-selling M48 Tactical Tomahawk in this slightly scaled down M48 Camp Hawk. The head is precision cast of 2Cr13 stainless steel with a heat-treated black finish and attached to the 30% fiberglass and nylon reinforced handle with sturdy metal bolts. The 3" blade is ideal for all of your lighter duty chopping, slashing and breaching applications.